This copycat recipe for slow cooker Cafe Rio sweet pork tacos will become your new favorite. 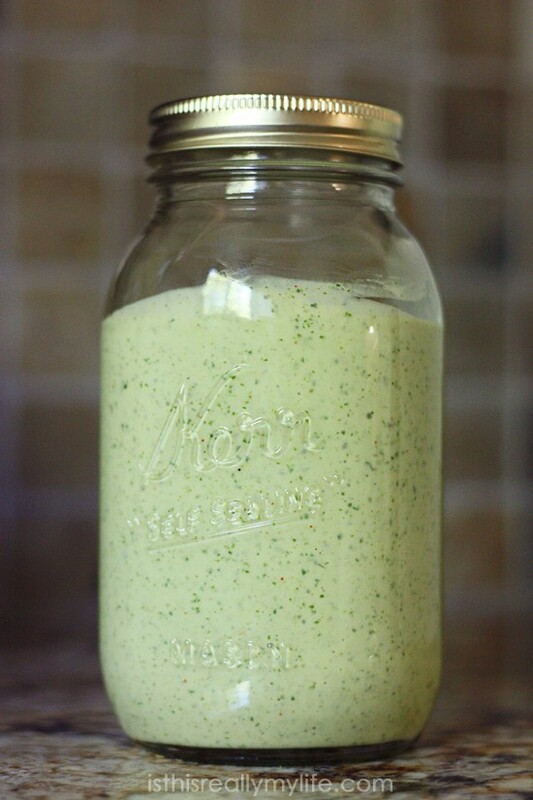 Don’t forget the highly addictive creamy cilantro dressing! 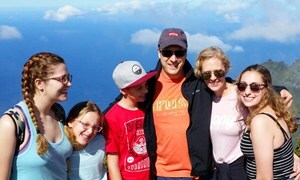 One of my first Slow Cooker Anyday guest posts was by my dear friend Vanessa. 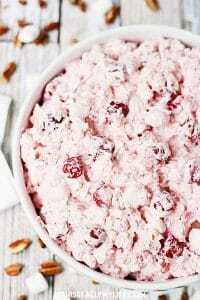 She posted a delicious (and I know because we’ve tried it) version of Cafe Rio-style shredded pork and their famous house dressing. Because we can’t get enough Cafe Rio around here, I had to share one of my favorite Cafe Rio slow cooker recipes. 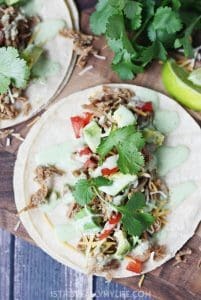 You definitely need to give this slow cooker Cafe Rio sweet pork recipe a try, and you definitely need to top it with some homemade Cafe Rio creamy cilantro dressing. Most definitely, in fact. If you have an Instant Pot and prefer to use that, try this Instant Pot Cafe Rio sweet pork recipe. It’s perfection. 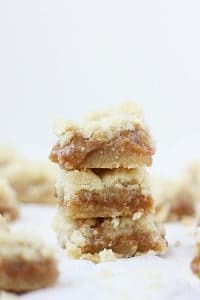 Don’t forget a side of Instant Pot Mexican rice, slow cooker creamed corn, and maybe some easy peach cobbler dump cake for dessert! 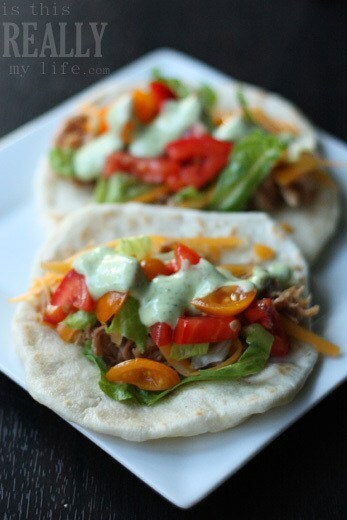 Printable recipe for slow cooker Cafe Rio sweet pork and creamy cilantro dressing below. Enjoy! This copycat recipe for Cafe Rio sweet pork tacos will become your new favorite. Warning: the creamy cilantro dressing is as addictive as crack cocaine. Saute onion and garlic in butter. Place roast in crock pot and cover with onion. Cook about 3 hours on high (or low equivalent). Drain liquid and save in fridge; shred pork. Add the soy sauce, lemon juice, brown sugar, salt and pepper and cook an additional 2 hours on high (or low equivalent). Skim off fat from reserved liquid and add liquid to pork (to taste). Serve on tortillas with Zataran's Black Beans & Rice, cheese, pico de gallo...whatever you like! I used lettuce, shredded cheese and fresh tomatoes from our garden. Top it with creamy cilantro dressing. Add ingredients to a blender and puree until smooth. Chill 1 hour (if you can wait that long). ohhh I shouldn’t be looking at posts like this at an hour like now! I’m tempted to take a little drive to Cafe Rio! (or pull out my crock pot from storage….) Love these recipes you’re posting, Emily! Cafe Rio is always worth succumbing to temptation! 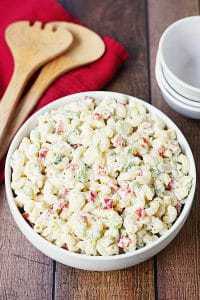 I found a blog last week that has the entire recipe for the Sweet Pork salad. Rice, black beans, everything. Delicious! BTW, I need Linda’s number again! I think we are going to have her clean our new place. Send along that link–I’d love to have it! And I will text you Linda’s number. LOVE her! I seriously want that… right now. It is SO good! With the other you should make this: http://www.halfscratched.com/2009/06/quick-easy-homemade-salsa/. Delicious! We’ve made these a few times now and just love it. There are few online recipes that actually WORK, and this is one of them. The dressing is really good, and we even use fat free mayo and fat free sour cream. I’m sure using regular mayo and sour cream would make it even better, but we don’t know the difference and love the reduced fat version. Thanks for sharing! I use low-fat sour cream and low-fat mayo but I’ve never tried fat free. I’ll have to do that! Some people think that fat free sour cream and fat free mayonnaise ruins the Cilantro Dressing, but that’s the only way I’ve ever made it and it’s delicious. I’m going to try that next time! I usually use reduced fat mayo and sour cream but have never tried fat free. I’m a little hesitant to put the pork in the crock pot without any liquid. Do you not put anything in with it the first 3 hours? Am I supposed to add back the liquid or fat? Nope! The pork will release some juices/fat while cooking. But if you’re too hesitant, then feel free to add a little bit of water. It definitely won’t hurt anything! And you add back the liquid, not the fat. I will clarify that in the recipe–thanks!